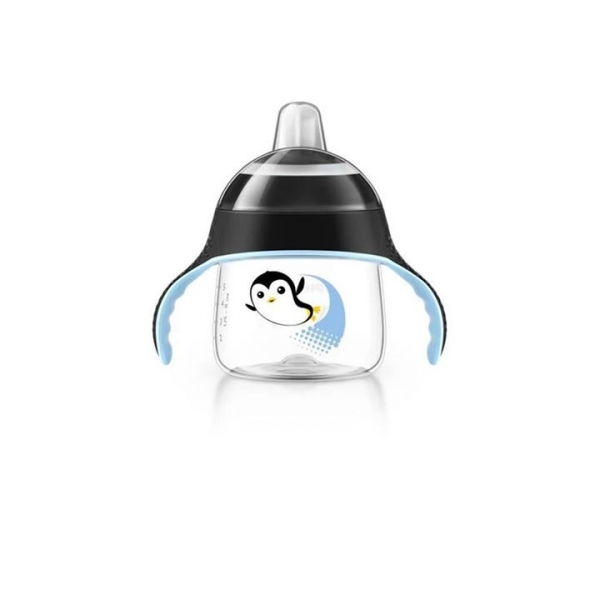 As soon as children get their first little teeth, they love to use them! 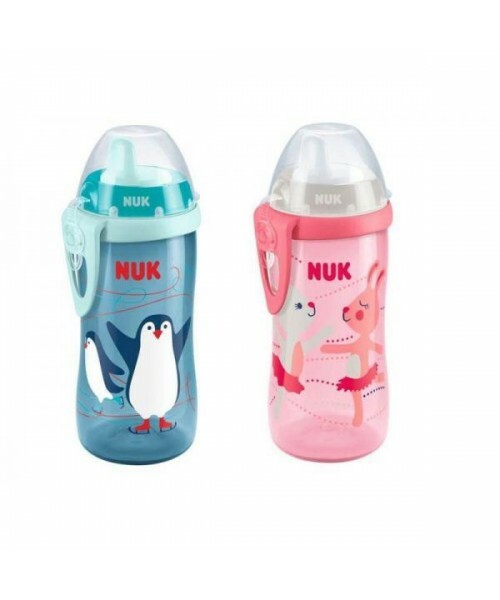 that is why nuk has created a cup with a spout made of resilient synthetic material (polypropylene) to withstand little teeth and to be particularly durable. 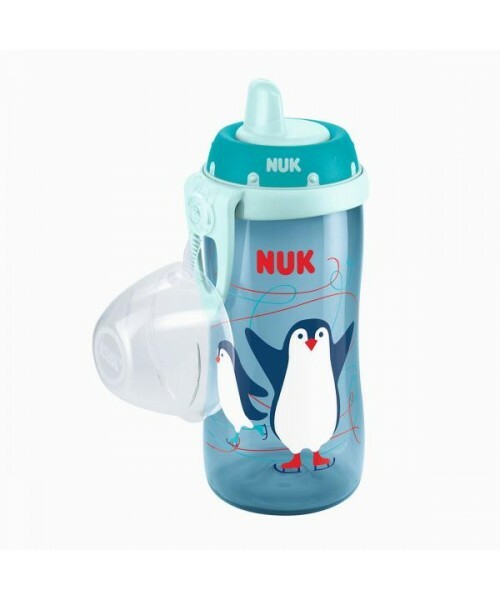 the nuk kiddy cup holds 300ml for really thirsty children, whilst its contoured shape makes it easy for little hands to grasp and hold. 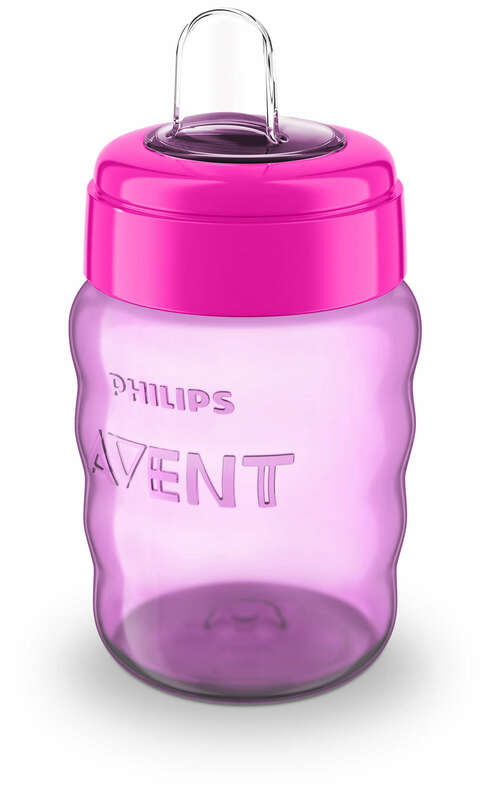 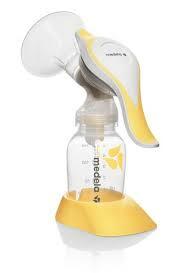 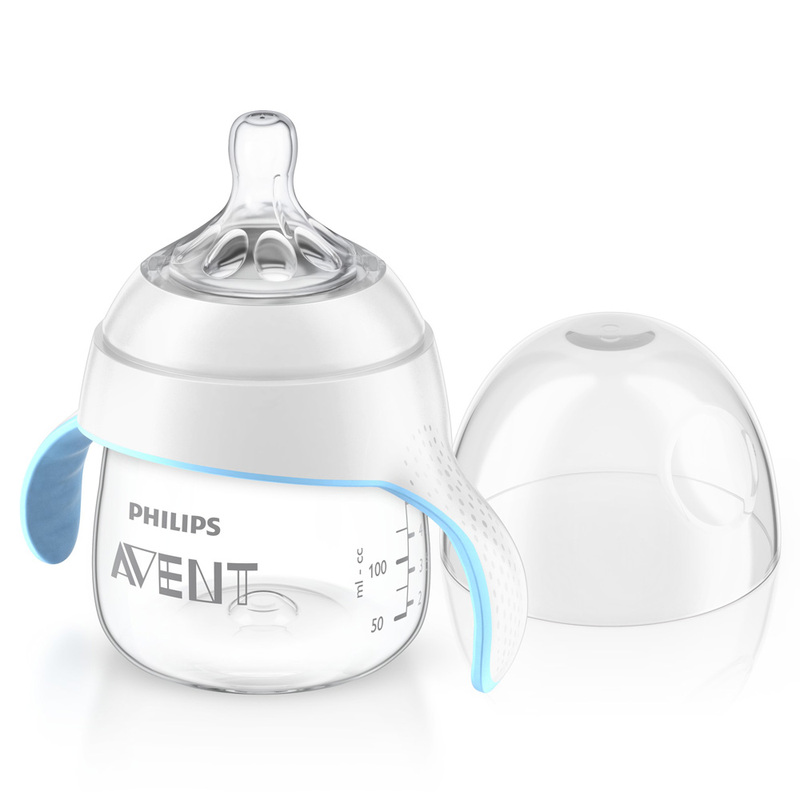 and thanks to its transparent material, parents can always see how much their little one has left. 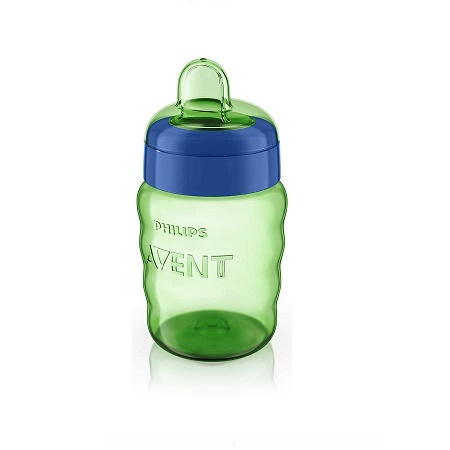 the leak proof and easy-functioning vent is simple to remove from the top, for easy and thorough cleaning. 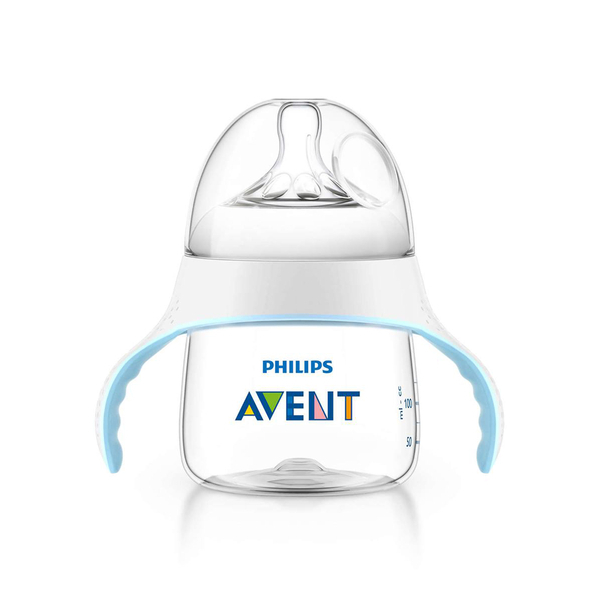 with a flexible connection to the top, the cap is guaranteed not to get lost. 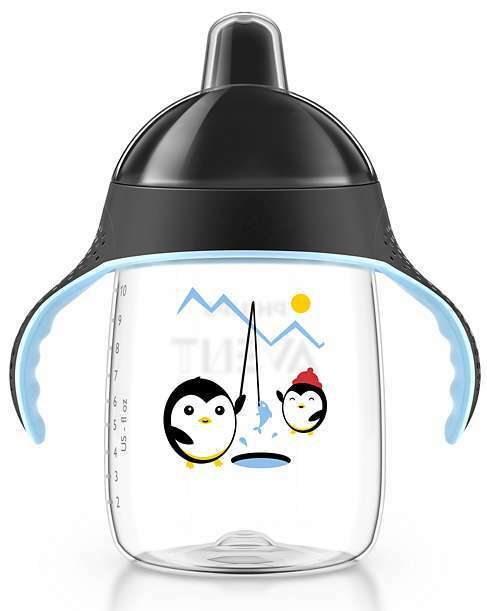 100% drinking fun for children over 12 months. 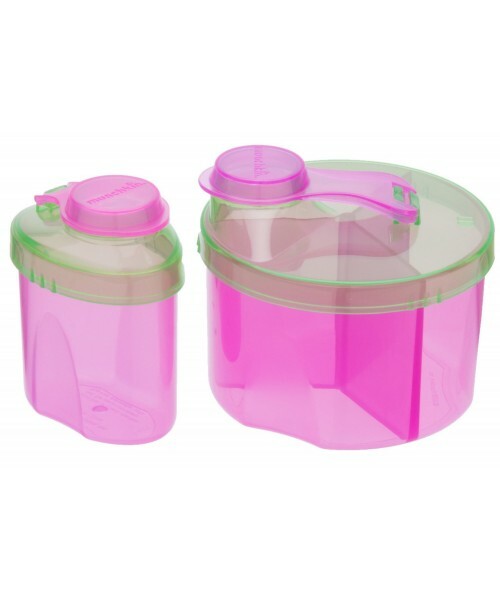 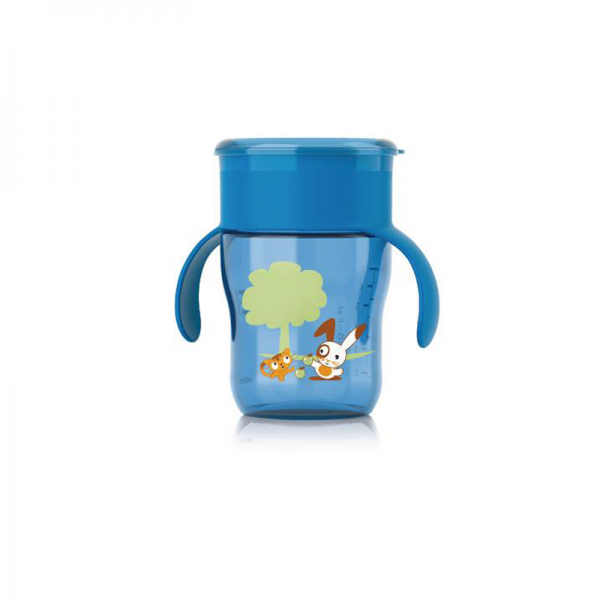 the kiddy cup is compatible with all nuk first choice products and can be used with any of the first choice drinking lids, so it can “grow” with the abilities of your child. 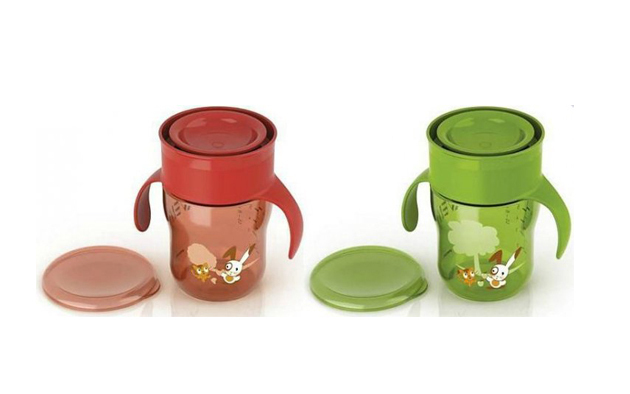 Suitable for children from 12 months+.